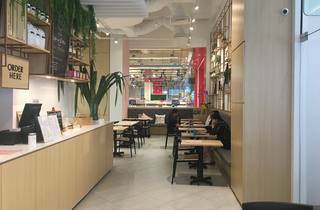 With pastel walls, green plants at each corner, and a name you could cuddle up to, Food by Fat Cat challenges the cliché that indulgences have to be messy and guilt-ridden affairs (we’re looking at you, chizza). 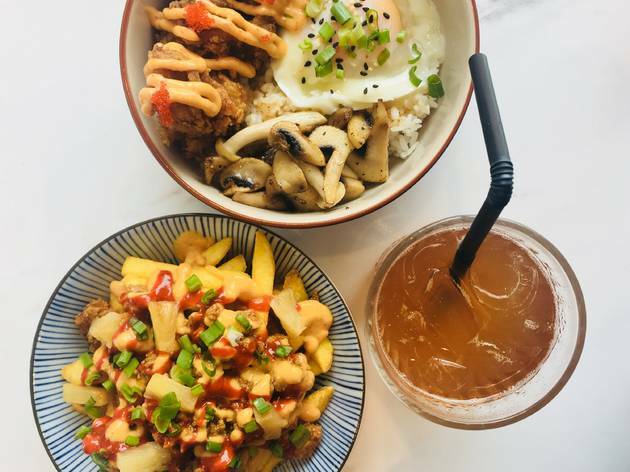 Run by the same crew that opened The Good Batch and Nara Kitchen & Co, the team sticks close to what they know best: providing carb-comforts through dishes like Japanese-inspired rice bowls, ramen and waffles. 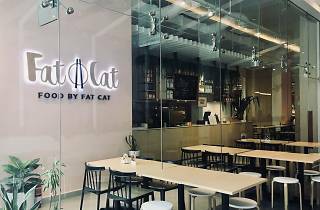 While Fat Cat caters to a mix of students and residents looking for an affordable and filling meal (you can get decent food for about RM20), the dishes are well-thought out when it comes to striking the right balance of textures and flavours. 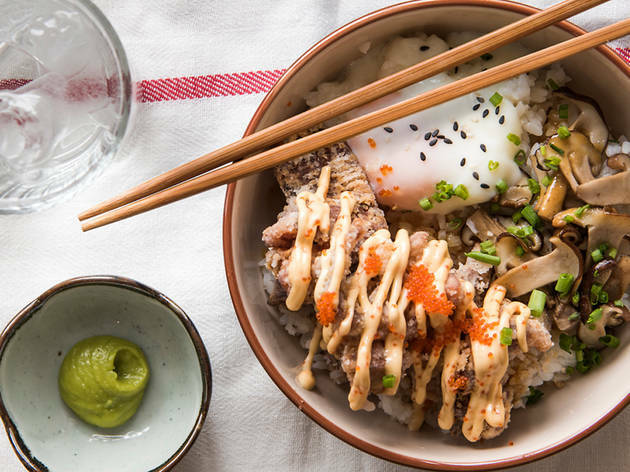 Their bestseller, Fattie BomBom (a rice bowl topped with chicken karaage with ebiko sauce, sautéed mushrooms and an onsen egg) encourages you to jumble all the ingredients into an unctuous mix that’s contrasted with the crunch of the chicken karaage. 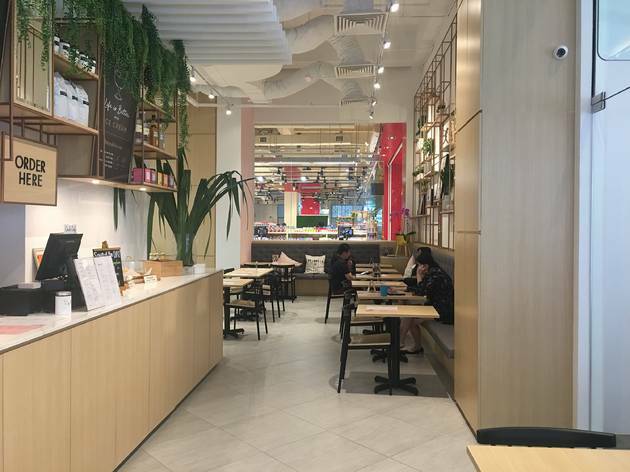 For a snack, opt for their Fat Cat Fries – a generous serving of fries topped with gojuchang and cheese sauce, minced chicken and pineapple chunks. 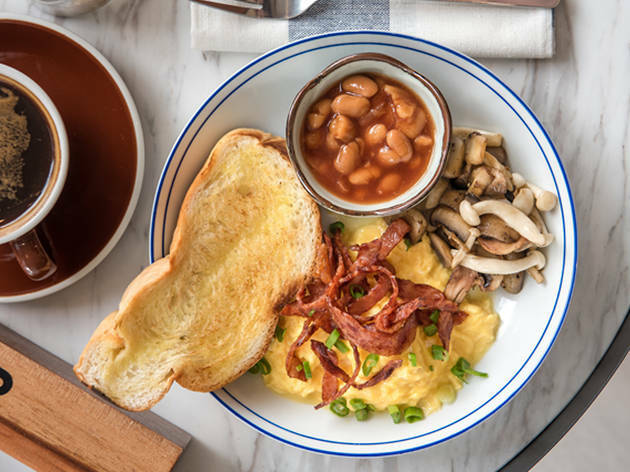 Brunch fans will be pleased with their buttermilk waffles that are made with freshly made batter and used as part of a savoury or sweet dish. 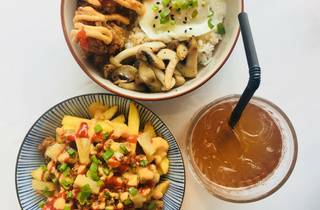 One crowd favourite is the waffle served with poached eggs, pineapple kimchi, chicken karaage and hollandaise sauce – think of it as a mash-up of an eggs Benedict and Chicken & Waffles presented on a plate. 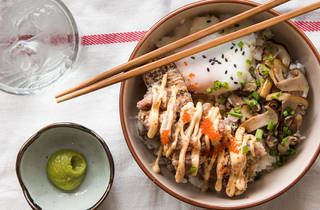 Sure, it’s slightly grotesque, but it’s got all the flavours you’d want from a brunch dish. 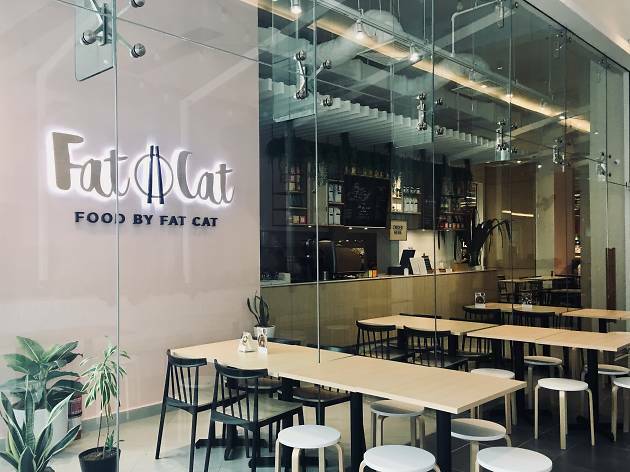 Another appeal of Fat Cat is its locale – situated within Jaya Grocer, it’s a great spot for those who need to sit down after a round of grocery shopping, and is easily accessible with the SunMed BRT station situated right in front of the restaurant. 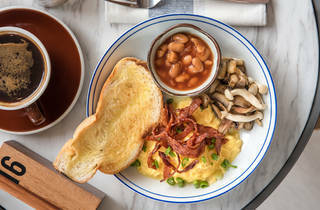 And if that doesn’t say comfort and convenience, we don’t know what does.